WYCOMBE TOWN FC beat last years premier Champions Italia Unita with a commanding home performance goals from Andy 'Boxer' Nicol 2, Chris Ayres and Adam Padget. In an even encounter with WYCOMBE TOWN FC RESERVES, Horse and Jockey took their chances well to win 6-2, Towns Goals came from Al Nicol and Lee Watson. 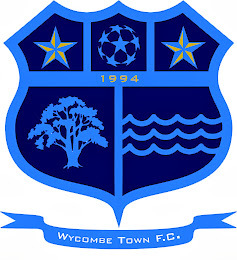 WYCOMBE TOWN FC 'A' at last found their form to beat Wycombe marsh RBL with goals coming from Simon Allen 2, Paul Donnelly, Neil Robbins Craig Mant, and Gary Harper.